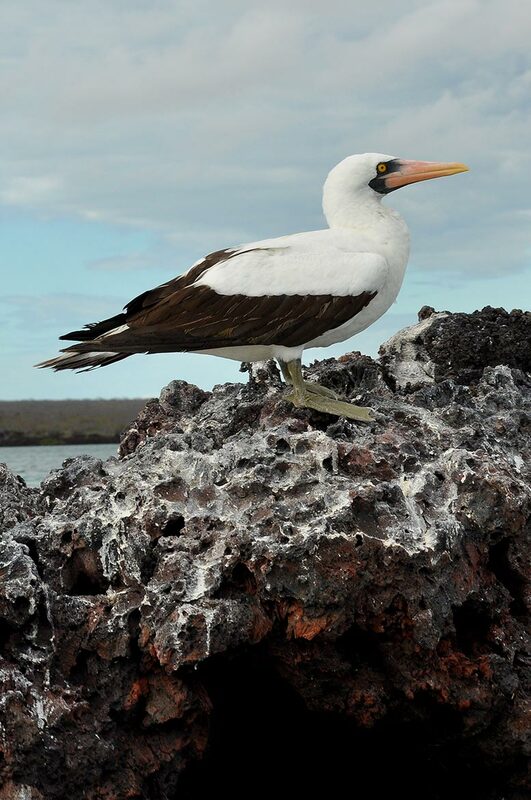 The Galapagos Islands are an archipelago of volcanic islands in the Pacific Ocean. 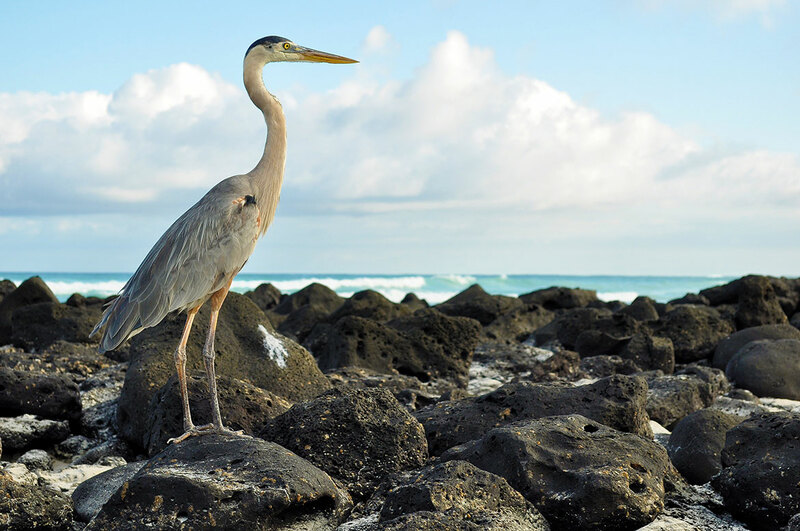 It’s one of the most interesting places on earth for wildlife-watching. 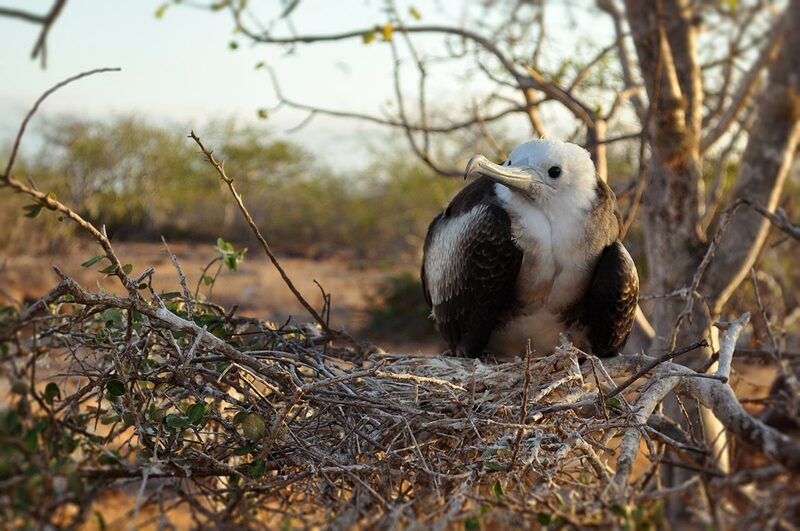 With amazing creatures in the ocean and on land, beautiful white sand beaches with turquoise sea, the Galapagos Islands are definitely paradise. 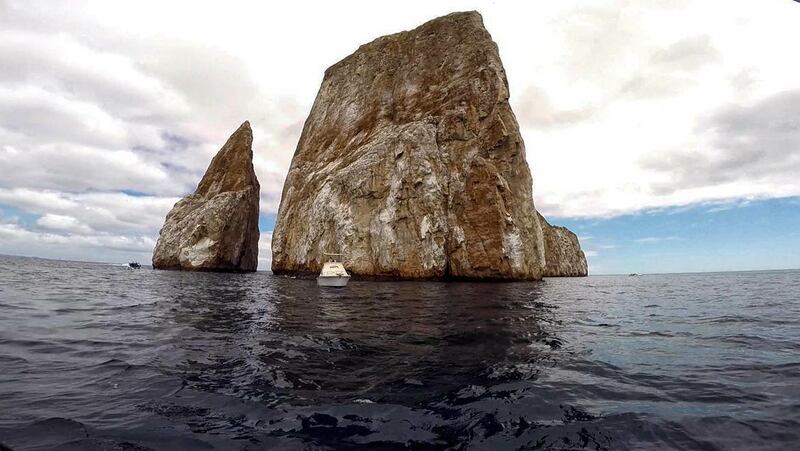 It was always a big dream for us to explore Galapagos Islands. We both really love wildlife watching. 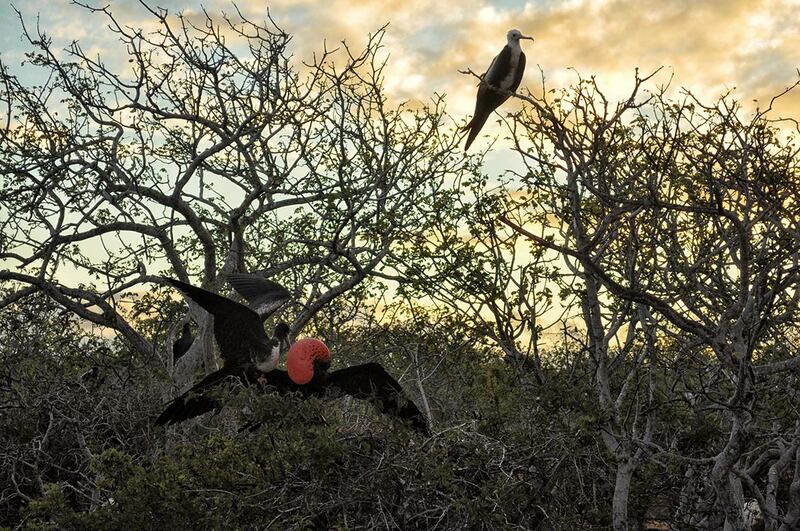 One amazing fact about the animals in Galapagos Islands: they’re not afraid of people at all! It means you can get so close to all animals on the Islands (as long as you keep the 2 meters safety distance). It’s such an incredible feeling to walk around blue footed boobies while they are doing mating dance, swim with sharks, penguins, sting rays and sea turtles, sit on a bench near a sea lion, and all these animals will be so playful, curios, and incredibly close to you! We spent 17 days in the Galapagos Islands, which were divided to 8 days on a first class cruise, and 9 days of an independent travel. We landed in Santa Cruz Island, which is the main Island, we drove to Puerto Ayora town and immediately started to compare between agencies and tried to book the right cruise for us. We could’t afford a too expensive cruise, as we were on backpackers-budget, but on the other hand we knew this is an experience of a life time, and we wanted to enjoy it and make the most of it, so we ended up choosing 8 days first class cruise on Anahi Catamaran Yacht. If you’re not on a short vacation, I would recommend to choose a cruise only after getting to Santa Cruz Island, it will be much cheaper than booking in advance. We booked the cruise at the Lonesome George Agency for 1800 USD per person. We payed a week before cruise departure date, as we were told that it’s the last cabin available. Probably it wasn’t true, since there was another tourist that booked a cabin the day before cruise departure for 200$ less than what we paid. We had to wait a week for this cruise, so we spent the days doing amazing independent day trips and activities in Santa Cruz Island and in San Cristobal Island. You can take a 2 hour speed boat from Puerto Ayora to San Cristobal. 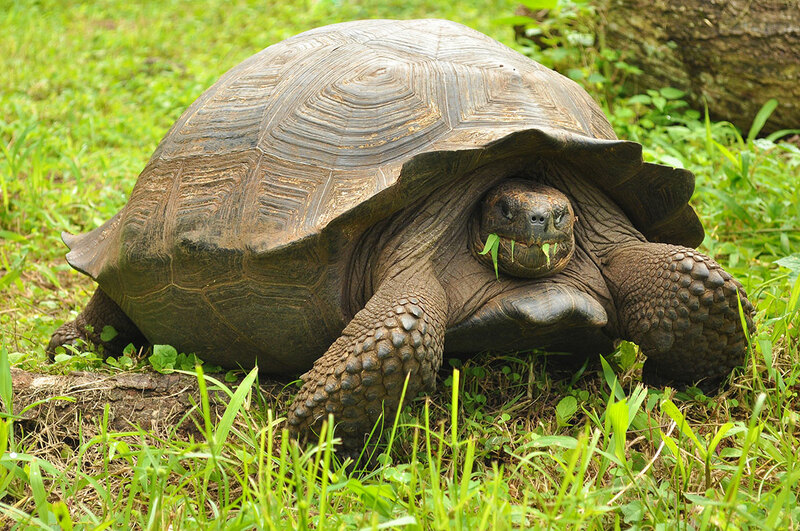 Book a taxi for half a day Santa Cruz Highlands Tour: walk around the beautiful craters, then visit El Chato Tortoise Reserve, where you can observe giant tortoises in the wild. 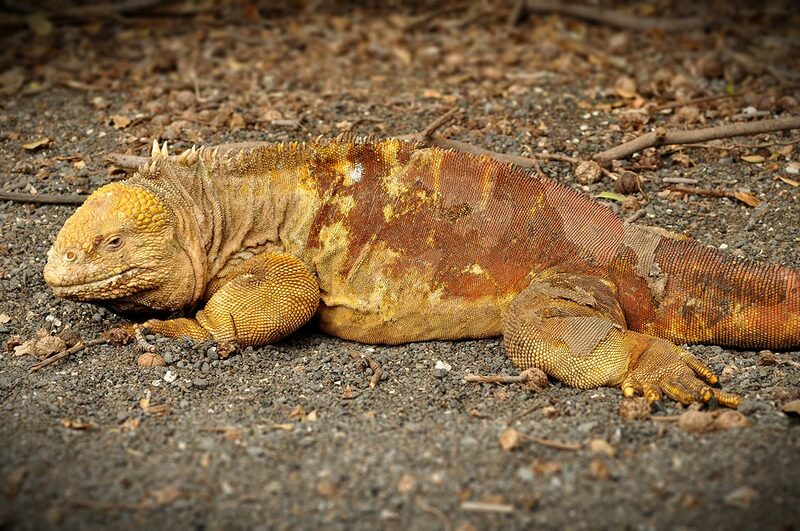 To learn more about these amazing giants, also visit Charles Darwin Research Station in Puerto Ayora. Tortuga Bay is a wonderful beach, just an easy half an hour walk from Puerto Ayora. 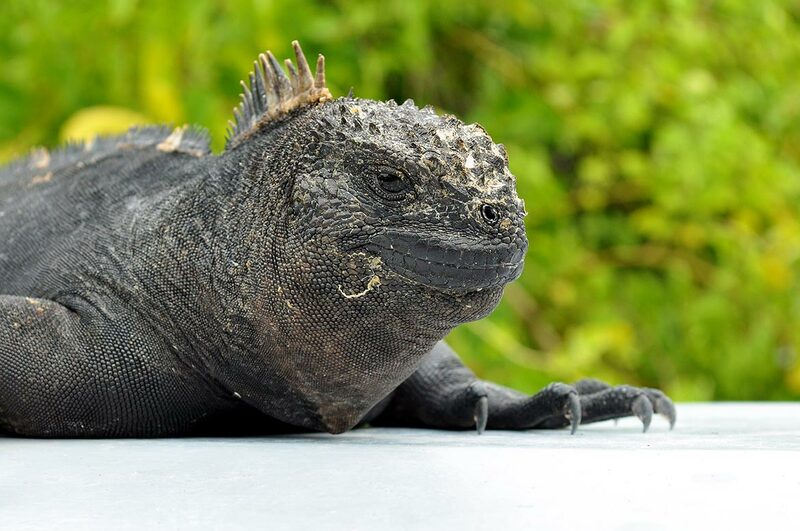 Spend a relaxing day at the beach, try to look for marine iguanas. Snorkeling day trip to Santa Fe Island: you can book the tour anywhere in Puerto Ayora. 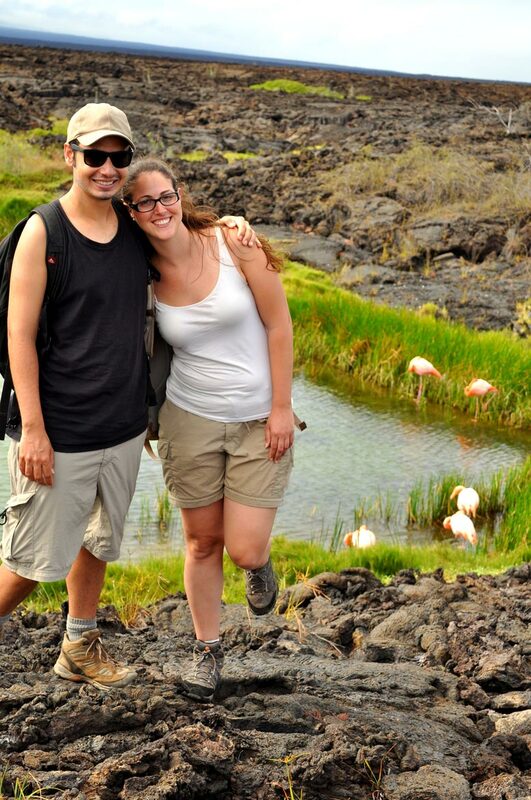 It was our first snorkeling trip in the Galapagos Islands and we had so much fun! I was a bit scared for few minutes, since I’ve never tried snorkeling before, but as soon as I saw the cute and playful sea lions I was so happy and relaxed! 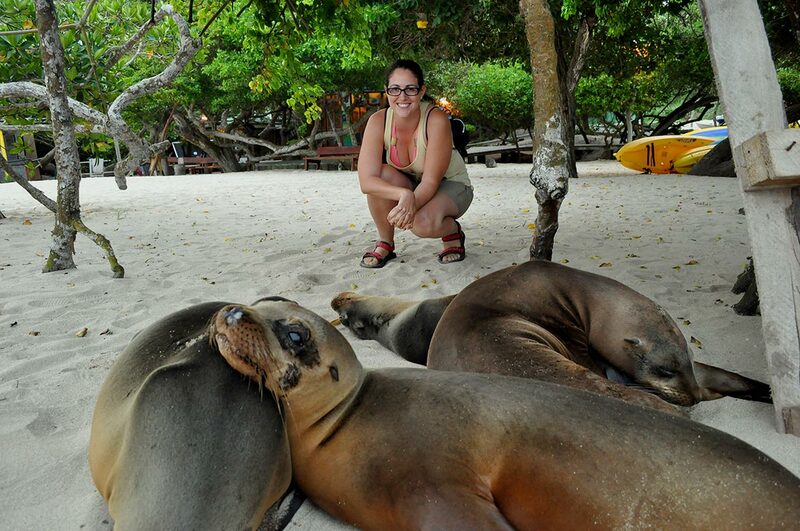 Snorkeling with the sea lions in Santa Fe Island was an amazing experience. Las Loberias Beach: just a few minutes drive (or 45 minutes walk) to the beautiful Las Loberias Beach, where you can find so many cute sea lions lying and playing on the sand. Bring snorkeling equipment and also look for the marine iguanas around the beach! We chose the west Islands tour (B1), which includes: Highlands of Santa Cruz, Isabela Island, Fernandina Island, Santiago Island, Rabida Island, Bartolome Island and Seymour Island. 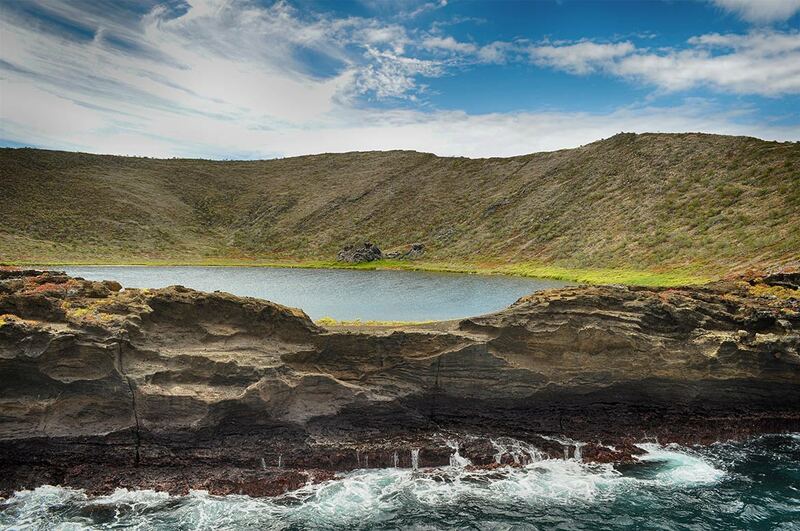 The cruise around Galapagos Islands is one of the most memorable and amazing experiences in South America. 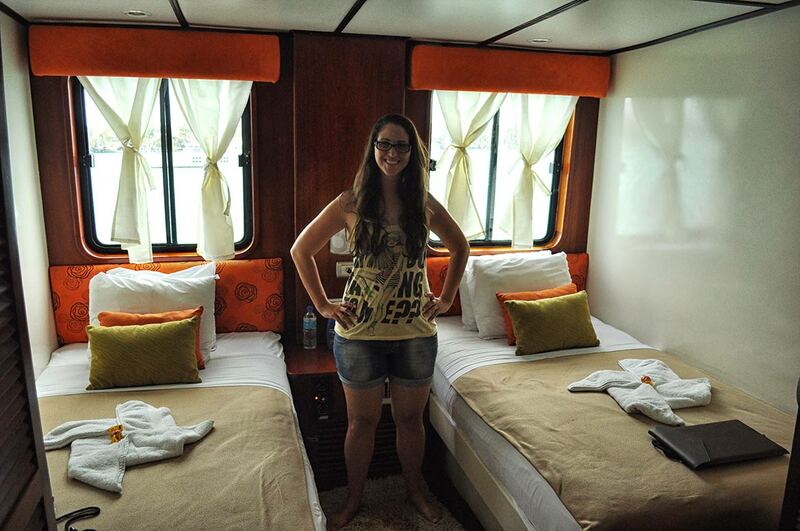 The Catamaran was really comfortable and our private cabin was awesome. Oded was having some hard time sleeping on the first few nights, but I always slept just fine, even during sailing. Just take that in mind if you’re usually sea sick. We were very pleased with the whole experience: from our knowledgeable guide and helpful staff, to the delicious meals and clean and comfy yacht. 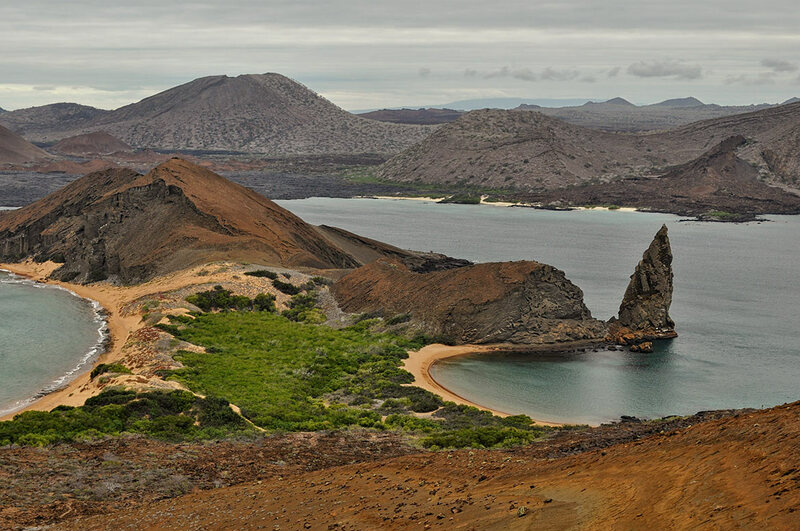 And off course, the things we enjoyed the most about the cruise, is exploring the amazing Galapagos Islands. During the cruise we enjoyed all the best activities you can imagine: we had zodiac rafts tours, exploring islands by foot, snorkeling, kayaking and more. 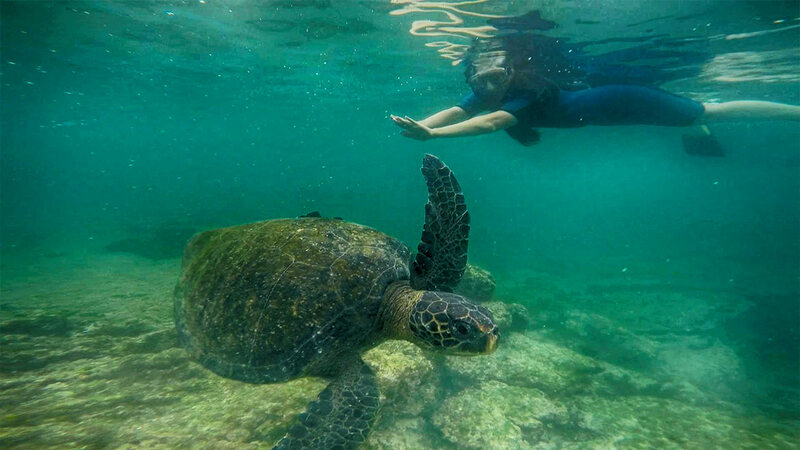 –Snorkeling with penguins, marine iguanas, sea lions, turtles, sting rays, sharks, and so many colorful fish. -At one of the snorkeling times, we were told to get back on the raft since the guide spotted an Orca near us! We went on our raft and watched the Orca swimming away, it was very exciting! -Bird watching in Seymour Island, especially watching the mating dance of the cute blue footed boobies. 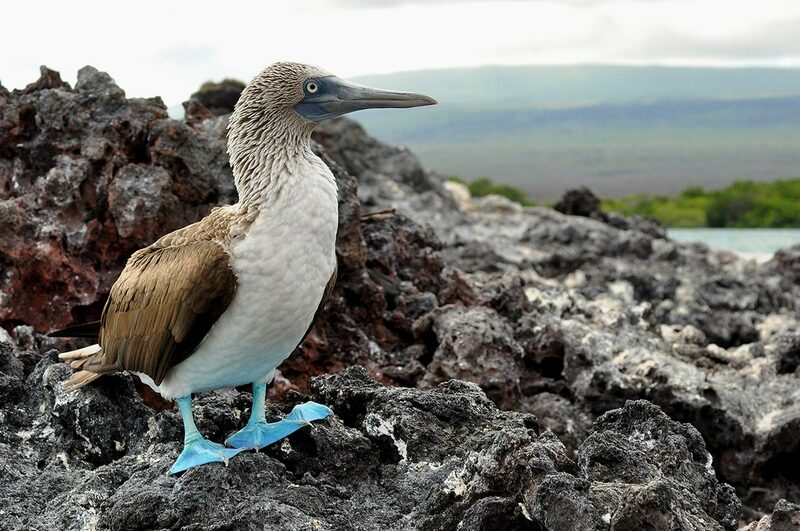 The cutest bird in the Galapagos: blue footed booby! After the cruise was over, we went on a shuttle to the airport in Santa Cruz Island. When I realized we are leaving this incredible place, I was crying a little bit, thinking about all the beautiful animals we saw and the great experiences we had in the Galapagos. Even after 17 days on the Islands I knew there’s so much more to explore in the Galapagos, hopefully next time we’ll visit, we will try a diving trip. 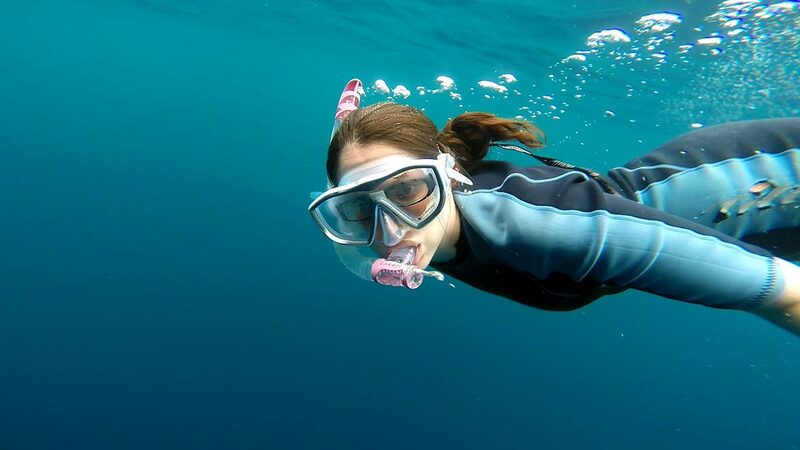 It’s better to have previous experience before diving in Galapagos since there are currents, but snorkeling definitely gives you an opportunity to get really close to all kinds of amazing sea creatures. Did you get to see hammer-heads? orcas? 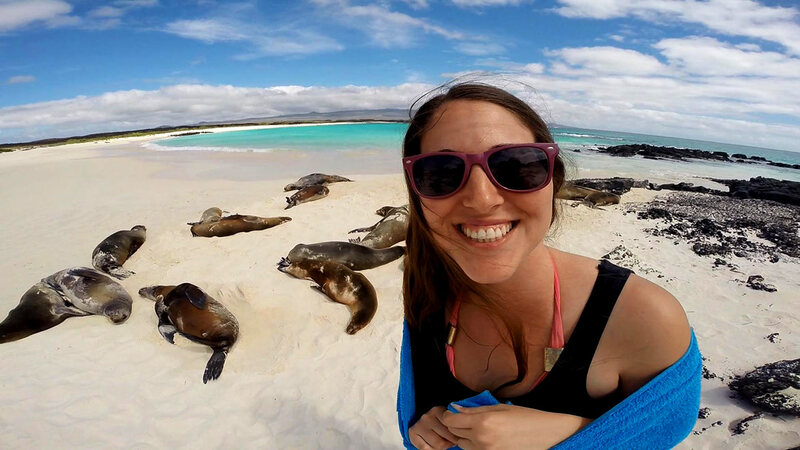 All Galapagos Islands are amazing, one of the best places on earth for wildlife watching…I saw the sharks while snorkeling and it was great, but next time I hope to do some diving as well!